Drivers of commercial vehicles are not permitted to have a blood-alcohol concentration of 0.04 or higher. Her employer told the Post the 56-year-old had since been terminated from her job and that the company was “extremely disappointed and troubled” by her alleged actions. Authorities don’t think the driver was drunk when she drove the players to the game, but they aren’t sure where she went after that. Another bus took players to retrieve their belongings from the original bus before they were taken to a nearby airport for a return flight to their hometown, arriving at 3 a.m. Although it’s definitely a good thing the allegedly drunk driver didn’t have a chance to return to the site to drive a bus full of young college students while impaired, she still is alleged to have put other lives at risk with her actions. First time OUI offense – 1 year loss of commercial driver’s license. Second time OUI offense – lifetime loss of commercial driver’s license. This often means loss of one’s livelihood. That’s in addition to the normal fines and penalties that can be imposed for any OUI offense. Drunk driving convictions remain on one’s permanent criminal record for life. However, the real life sentence is often imposed on victims of these actions – those who are severely injured or killed or who have lost loved ones in drunk driving accidents caused by impaired drivers. 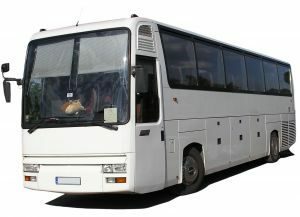 Commercial drivers are required to submit to alcohol and drug testing, sometimes randomly and other times on the basis of reasonable suspicion. Under FMCSA rules, a commercial driver’s refusal to submit to a blood-alcohol test is the equivalent of pleading guilty to a DUI.